Sketches of Canada for February 24th! 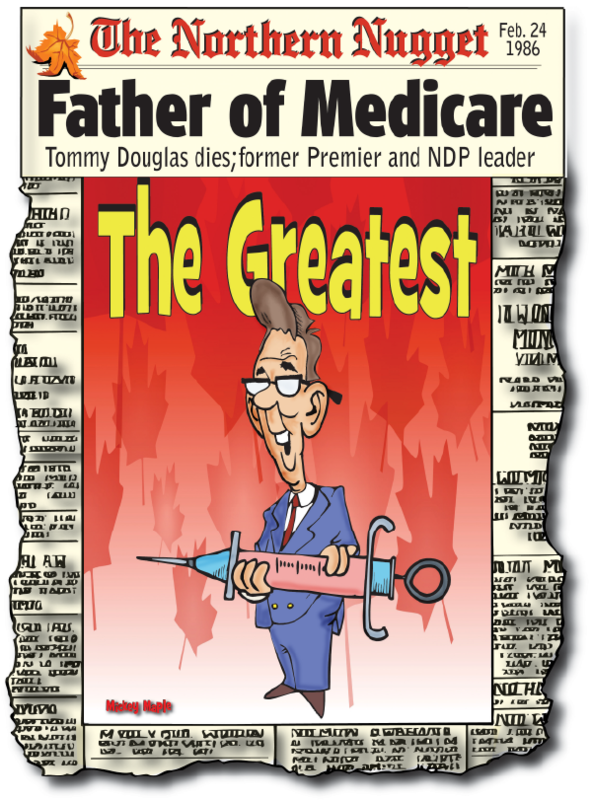 February 24, 1986 – Tommy Douglas dies; former Saskatchewan CCF Premier and national NDP leader was the First in North America to bring in government Medicare health plan. 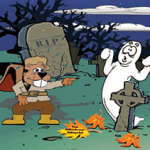 This Canadian History for Kids exclusive, looks at the life of the ‘Greatest Canadian’. Tommy Douglas was born on October 20, 1904 in Scotland. In 1910, his family emigrated to Canada, where they settled in Winnipeg. While in Scotland, Douglas fell and injured his right knee. Osteomyelitis (infection of the bone) set in and he underwent a number of operations in Scotland. In Winnipeg the osteomyelitis flared up again and Douglas was sent to hospital where his parents were told the leg would have to be amputated. Fortunately, a well-known orthopedic surgeon agreed to treat him for free if medical students were allowed to observe. After several operations, the leg was saved. Tommy Douglas never forgot the event. He believed healthcare should be free to everyone. Another incident also had a lasting impression on Tommy Douglas. In late 1918, he witnessed the Winnipeg General Strike. He witnessed the police charging the strikers with clubs and guns, a streetcar being overturned and set on fire. He also witnessed the RCMP shoot and kill one of the workers. Douglas fought for a bill that protected both fundamental freedoms and equality rights and eventually saw the passage of the Saskatchewan Bill of Rights while Premier of Saskatchewan. At age 15 he began an amateur career in boxing in Winnipeg. In 1922, at only 135 pounds, he fought for the Lightweight Championship of Manitoba and won the title after six rounds. He successfully held the title the following year. In 1930 Douglas married Irma Dempsey, had one daughter, actress Shirley Douglas, and adopted a second daughter Joan. His grandson is actor Kiefer Sutherland. In 1935 he was elected to the House of Commons as a member of the Co-operative Commonwealth Federation. From 1944 to 1961, he was the seventh Premier of Saskatchewan. After setting up Saskatchewan’s medicare program, he stepped down as premier and in 1961, was elected the first federal leader of the New Democratic Party (NDP) until 1971. He resigned as leader the next year, but remained as a Member of Parliament until 1979. As Premier of Saskatchewan, one of the first things he did was to bring in free medical and hospital care for pensioners, those on government support, and for cancer patients. By 1962, Saskatchewan enacted the first medicare plan in North America. The federal government took note. Prime Minister John Diefenbaker appointed Justice Emmett Hall to Chair the Royal Commission on Health Services, and Justice Hall recommended the program. In 1966, Prime Minister Lester B. Pearson’s government created the program, with the federal government paying one half the cost and the provinces the other half. In 1981 he received the Order of Canada and became a member of Canada’s Privy Council in 1984. In 2004, he was named “The Greatest Canadian” based on a viewer-supported survey done by CBC. On February 24, 1986, the “Father of Medicare”, died in Ottawa after a battle with cancer.